You must make bookings at least 5 minutes in advance of the time at Bleeding Heart Bistro. Farrington tube and train station. Chancery Lane tube station. 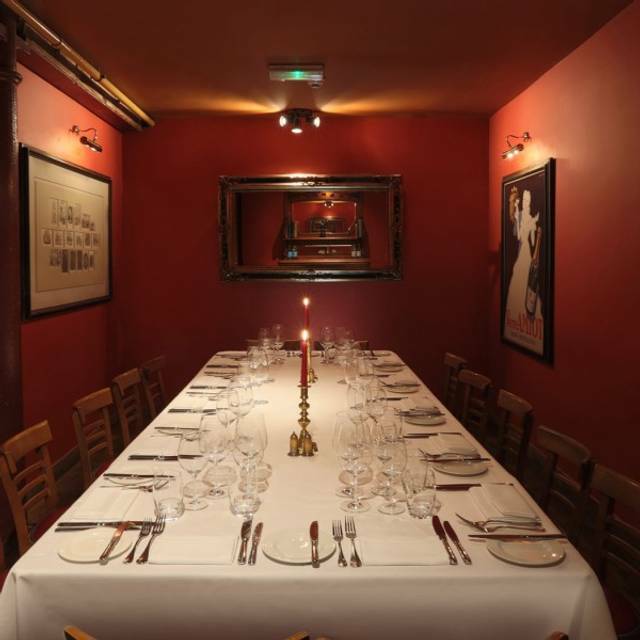 The busy buzzy Bistro, high ceiling and high windows, with its striking 19th Century French wine posters is the perfect place for an informal business lunch with a colleague or a jolly supper with a group of chums. 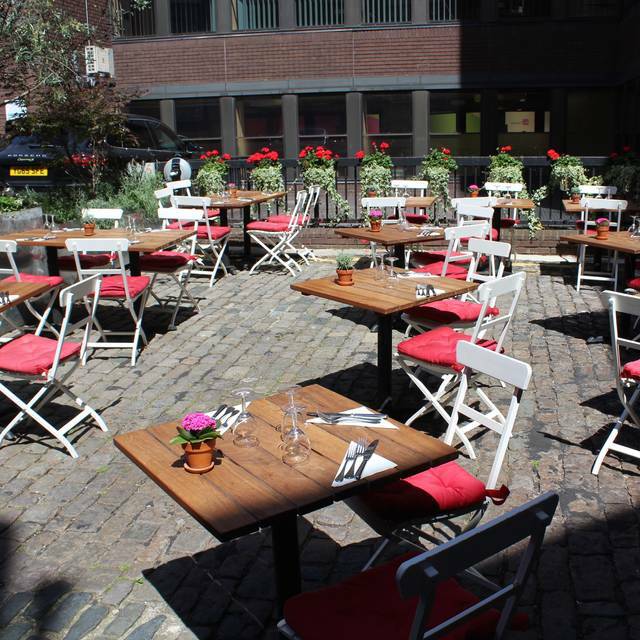 Certainly, the bistro’s sunny terrace, shaded by a huge red awning, seems far away from the streets of Farringdon. With its professional, friendly service and warm ambience, the Bistro offers both traditional and modern French fare ranging from classic Omelettes, Coq au Vin and Steak Frites to Breast of Duck and Shank of Lamb, plus a great-value list of 450 wines by the bottle and a dozen by the glass. 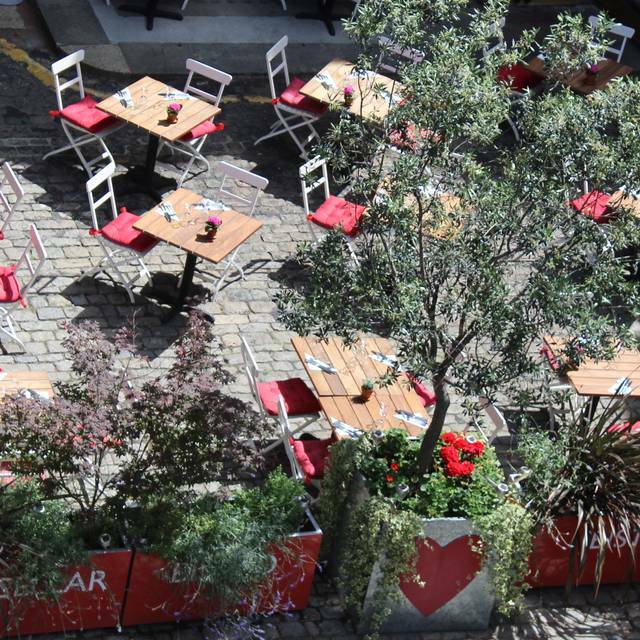 Our popular terrace at our charming french Bistro situated in Bleeding Heart Yard is open from Spring to Autumn months and accommodates more than 30 people. 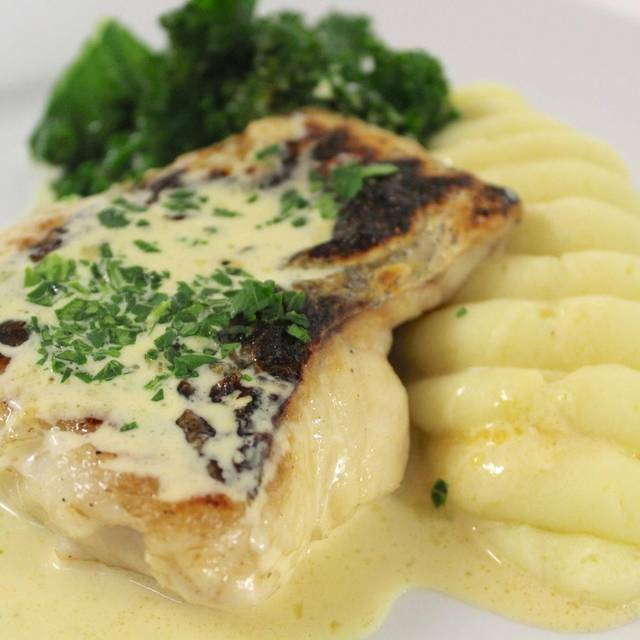 Diners can enjoy traditional French dishes ranging from Lapin à la moutarde and Navarin of Organic Lamb. 2016 Chenin Blanc, Pecan Stream, Waterford, Stellenbosch, S.A.
2016 Luberon, Château Val Joanis, Rhône Valley, Fr. Delicious food will definitely be back! Enjoyable - albeit dry - lunch at the Bleeding Heart Bistro. The fishcake was excellent as always and our guests enjoyed their cod. Authentic Bistro atmosphere with a small menu but all the dishes were good - perfect for a mid-week supper with my daughter and boyfriend. 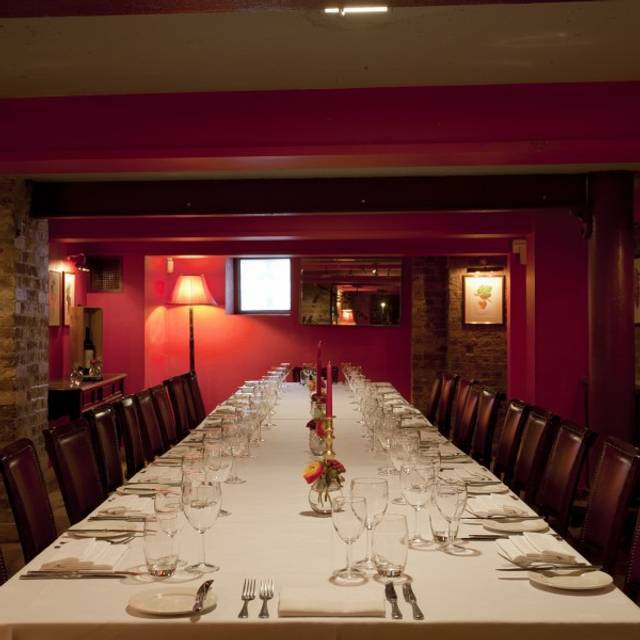 This is the best French Restaurant in the City of London. Great food, and pretty good value. Service varied, some good and some not so good. Lovely meal - food was lovely, well priced, and service was attentive but not intrusive. Will definitely be returning! Food was very good, I would say a great value for money. Especially the wines from New Zealand were very good and enjoyable, and also great value for money. Good atmosphere, I would recommend this restaurant for a casual dining. 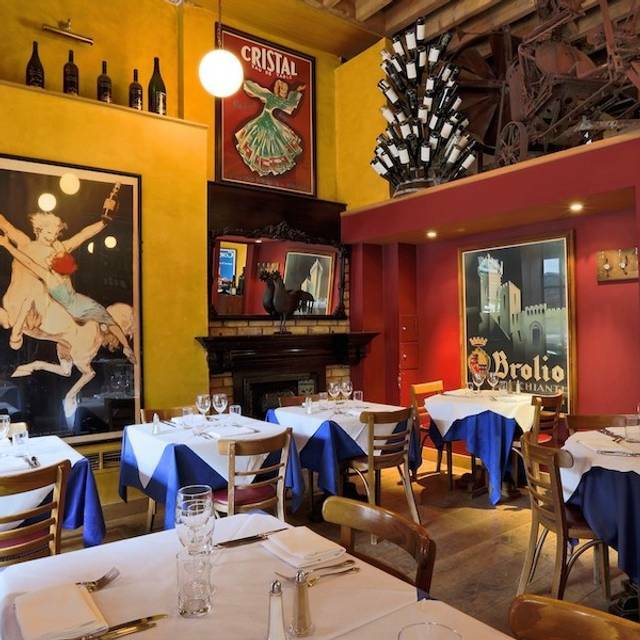 Very much in the typical busy French bistro style in terms of atmosphere, menu and service. Friendly staff with the right size of menu for the venue and the right size of proportions of food. The lapin à la moutarde was meaty and tasty, and the cheeses to finish were super. Guests agreed the food was really good. Definite return on the books. Great lunch time venue for friend and business colleague. Great set menu and speedy service. Very enjoyable lunch at the Bleeding Heart Bistro - fishcake excellent as usual and our guest particularly enjoyed the pork cutlet. Great food and pleasant service, a good venue for a quiet lunch. A lovely dinner for college friends in the bistro. I had the set menu which was excellent value for money. Service was super and it was lovely and cosy. No background music thank goodness! We were able to talk and catch up without being deafened. I’ll be going back. Enjoyable catch-up at the Bleeding Heart Bistro. Food and service very good as always. One of the best Bistro of London. Great service and food. It’s a lovely venue tucked away. The staff were all friendly. I dined on the set menu which had enough choice on it. The starter was a lovely leek and gruyere tart. The main coq au vin was tasty enough, but the chicken was slightly dry. The dessert however let the whole thing down. 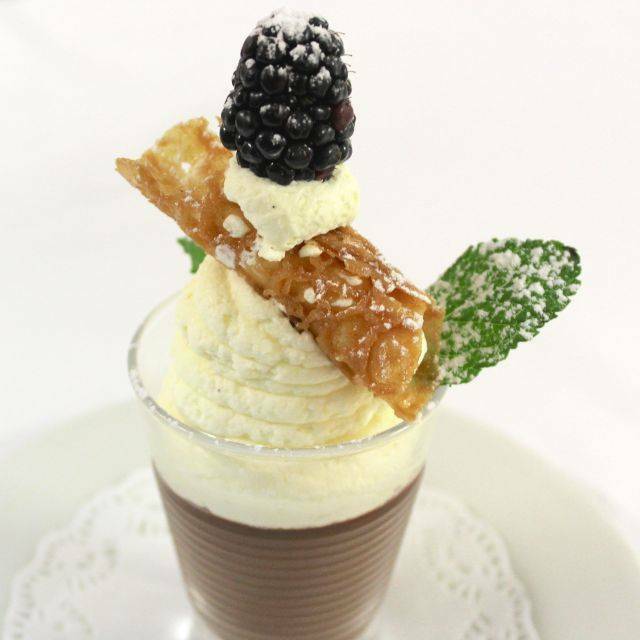 Chocolate mousse... you can hardly go wrong. It clearly hadn’t set so it was served as a dollop on a plate with no garnish to even try to disguise the fact that it looked like a cow pat on a plate. It didn’t even taste good. The waiter got slightly defensive when we raised it and said sometimes it depends how it comes out the freezer so it could be more compact! Understatement! He took it off the bill and we were offered an alternative, but it was as though they took the view they would serve it in the hope we knew nothing about food and would have a mess on a plate as an acceptable dessert. It’s good value however if the restaurant maintains consistent standards. Enjoyable business lunch - prompt service and very good food. Fish cake recommended as usual. We went to the restaurant in the end, always a delight, great manager and team, delicious food, lovely atmosphere, what else! Great food but disappointed by the service we received. We were very much rushed through our meal. Wow - superb food, delicious wine, polite and attentive staff. Highly recommend! When we arrived they had no record of my booking despite receiving a text confirmation from Opentable a couple of hours earlier. Fortunately they had plenty of room. Two of us ordered spatchcock chicken as a main course. We were asked whether we wanted a whole chicken between us. It arrived but was more like a whole roast chicken that had been cut in two rather than a true flattened spatchcock. Curious! Bistro was a bit more disappointing than expected. Cote’d beuf was average however expensive. Get-together with a friend, and we decided to try somewhere different. This was very good for a reasonably shady environment (in Bleeding Heart Yard) on a hot sunny day. Service was attentive and friendly, and food was pretty good, with a better selection of fish dishes than most similar bistros. We felt though that (despite it being central London), the food was a little overpriced. Great Summer options. I had the gazpachi and then the lobster and avocado salad and they were just right for a hot evening. Sitting outside on the terrace you do not think you are in London, hearing no traffic noise. The Maitre d' was off-hand in my opinion and had to be specifically asked to take our order after a long wait. Of the three of us, one was brought the incorrect starter so it would appear that our order was not taken down correctly. The remainder of us had to wait whilst our food got cold until the correct starter was brought for the other member of our party. The pork belly was referred to as crispy but the crackling was in fact soggy. On the plus side, the snails and mango dessert were good and it was very pleasant to sit outside. However, in view of the basic errors, I could not recommend the bistro and would be unlikely to go there again. I am prepared to give the restaurant a try. If it doesn't perform any better, it's adieu, Bleeding Heart! Enjoyable lunch at the Bleeding Heart Bistro. We both had the gravadlax starter, which was very good and the fish cake main, which was, as always, excellent. Enjoyable business lunch at the Bleeding Heart Bistro. Good food as always and this time I got to the desserts ! Special offer not available! Embarrassing to have to negotiate with waiter. Had nice dinner from a la carte menu but spent more than we bargained on. Still, a nice experience. Great location. Good service. Menu probably needs a refresh. Food was average. 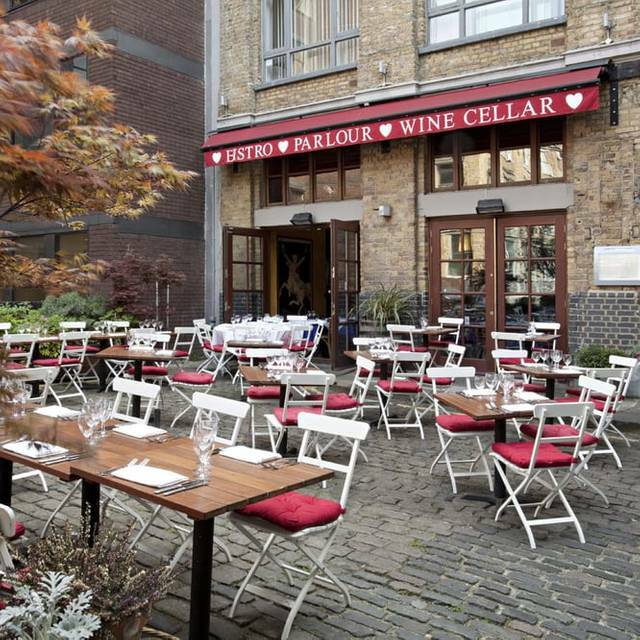 A lovely bistro with outdoor terrace seating and delicious food just a few minutes walk from Farringdon station. Absolutely fabulous as usual. This restaurant never disappoints. Cote de Boeuf, shared with my friend, was to die for. Cooked to perfection and the beef melted in your mouth. Service was fabulous too. Would highly recommend. An enjoyable lunch at the Bleeding Heart Bistro. It was a catch-up with a friend whom I haven't seen for a while - we were so busy chatting that we didn't notice that our starter was taking a while - not too surprising, as they'd forgotten it ! To be fair, these things happen. They confessed and gave us some wine as an apology while it was prepared so not a problem. 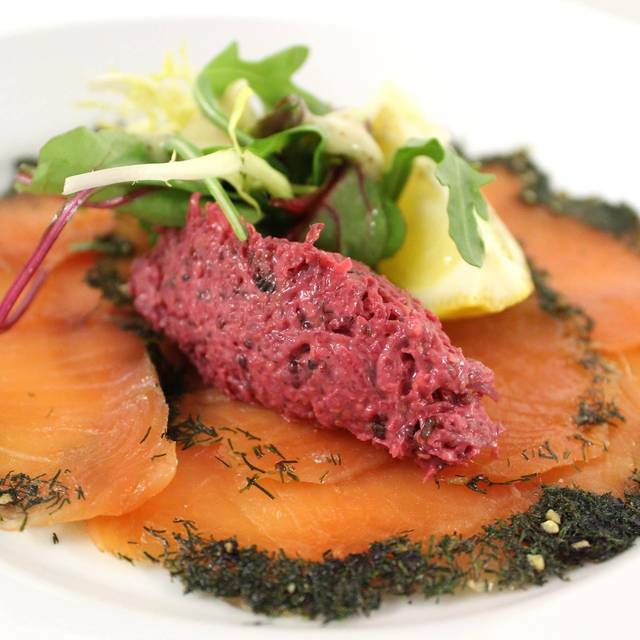 Once the missing gravadlax had been caught, it was excellent, as were our starters. We are both garlic-intolerant, but my guest quite significantly so, and this was no problem, with the waiter suggesting menu choices, which impressed me in a French restaurant. Mains were excellent - especially the fish cake and the fabulous sauce. Ended up a two-bottle lunch, but we enjoyed ourselves. We ordered pork belly and the portion was extremely small and wasn't particularly delicious. Presentation was nice. So we filled ourselves with bread and butter. For desert we had Pavlova, which was perfect. Really outstanding ambiance and food. Small yet open with outside seating available. Best chocolate orange dessert ever! Prices reasonable, especially for wine.